I remember when I found out I was pregnant, I was so shocked. I’ve always wanted to be a mum, we just did not think it would be that soon. It was the happiest moment of my life. We did a few home pregnancy tests and they came back negative so I was not hopeful. But my partner was convinced I was. So we went to the GP, I went in on my own and made my partner wait outside. When the nurse started to do the pregnancy test it was the most agonizing 5 minutes of my life. At first the negative line came up, I definitely was not hopeful. The nurse assured me that I would have to wait for the full 5 minutes to make sure the test is done properly. As the 5 minutes progressed a faint line appeared on the positive line of the pregnancy test, I just wanted to scream in excitement, I was going to be a mam. 3rd of January was indeed the most happiest day of my life. I could not wait to get out of the room to tell my partner he was going to be a dad. The look on his face when I came out of the room was indescribable his face was proud as punch. I had a terrible first trimester with Oliver, I was constantly sick every morning and through the night for at least 8 weeks, but it did not really affect my appetite for cereal, I ate bowl after bowl of sugar puffs in the first trimester I practically lived off them. But at regular check ups everything was going the way it was supposed to be. At the time I was working from half 6 in the morning till half 10, returning to work from 5pm to 9pm. This exhausted me, I was constantly tired all the time, when i was not working I was sleeping. The date for Oliver’s 12 week scan came around which made me and my partner very excited, getting to see our little miracle for the first time. He was growing strong and his heartbeat was as strong as a lions. Made me and his dad soo proud. However we thought at this point we were going to have a girl (well my partner wanted a girl but I wanted a boy, odd I know its usually the other way round, but I always wanted my first child to be a boy). We had trouble finding Oliver on the scan, we could hear his heartbeat but not find him on the scan. He was playing hide and seek which made us giggle even more. I had to jump up and down on the bed to make Oliver move so we could see him. This made us laugh soo much. Our little baby being a naughty baby already. I could not help but smile. A few weeks later at a routine check up, we got to hear his heartbeat again, the midwife used the fetal doppler to hear his heartbeat. Yet again Oliver was playing hide and seek. She managed to get his heartbeat for a couple of seconds then he started moving around hiding from the midwife. We were there for at least 15 minutes trying to get his heartbeat. What the midwife said always will make me giggle. She said ‘I will not let something that small defeat me’. Later on as the pregnancy progressed I started to feel like my old self again, it was fantastic. I was able to go a full day without needing a nap, eat a hell of a lot more than I was able to stomach over the previous 8 weeks, I started to fully enjoy and appreciate being pregnant. At around 19 weeks pregnant I felt Oliver move for the first time, it was amazing. The best feeling in the world is a mother feeling her baby move for the first time. It made me feel like the happiest person alive. My baby was moving around which meant everything was going ok. Oliver got in to a routine of kicking and moving around just as i was going to go to sleep. Typical boy eh :). I did not care, I was feeling him move and I loved it. Me and my partner would be lying there and Oliver would be kicking and moving around, as soon as my partner put his hand of my stomach Oliver would stop moving which always made me laugh, Olivers way of saying ‘no you dont I just kick mammy’. 2 weeks later was my 20 week scan, we went in full of excitement, we were going to find out what we were having. This day decided whether we got our prince or princess. Once all the checks were complete the moment of long anticipation was finally here. We were having a boy!! A baby boy, everything I wanted I got, a baby boy. My dreams were coming true I was soo happy, words can not describe. Everything was going fine up until around 22 weeks when I started getting bad headaches (which I put down to stress, as things were stressful with bills usually stuff) and swelling in my feet. I put these symptoms down to general pregnancy symptoms. At my routine 25 week check up, my midwife started was concerned as I had traces of protein in my urine and my blood pressure elevated slightly. She was concerned that I might have pre-eclampsia at the worst case scenario but stated it could just be a water infection but she did not want to take any chances so she sent me to the pregnancy assessment unit at our local hospital. A few checks later and they were not that concerned as my blood pressure did not elevate that high and recommended I get checked over in a weeks time. However, at that weekend I was getting serious abdominal pains, my partner wanted to take me to the hospital but after taking paracetamol the pain subsided enough for me to get to sleep so I did not want to go. Monday came around and my partner rang the midwife to come around and do a check over after all the pain I had been in. She checked my blood pressure and it was increasingly high and there was a lot more protein in my urine. There was no questions asked I got rushed straight back in to the pregnancy assessment unit which from there I got diagnosed with pre-eclampsia and got kept in hospital from then on. On Tuesday evening I was transferred to Sunderland royal hospital for the specialist neonatal unit they have there. I really got looked after at this hospital. They took the time and effort to make sure I got everything I needed. They give me steroid injections to help Oliver’s lungs in case he had to get delivered early. They explained to me for the sake of my life and Oliver’s life that I would not make it full term and I would have to give birth to Oliver early. We had set milestones the first being 28 weeks, if I could make it to 28 weeks that was fantastic, then the next milestone would be 32 weeks, then 34 weeks. If I made it to 34 weeks I would then be delivered. I got a scan on Wednesday afternoon to measure the blood flow from the placenta to Oliver and it was not that good. 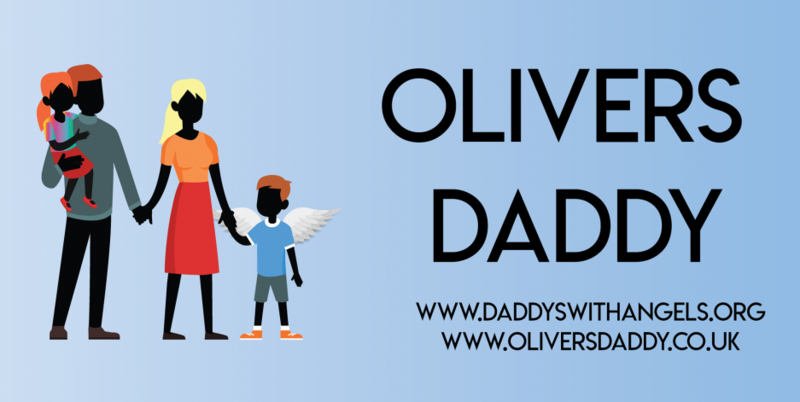 Oliver had stopped getting most of the nutrients he needed at around 25 weeks therefore he had stopped growing. I was mortified. I was determined to make it to at least 28 weeks, I felt fine during the stay in hospital I did not fully understand why I had to stay in hospital. However on Thursday night I started to get extreme pains in my abdomen to the point where I could not barely move. The midwife give me some pain relieve which did not work, the pain would not subside I was in complete agony by Friday morning. I was determined to make it to the 28 week mark which was just a mere day away, however the consultant said that I was going to be delivered that day. I rang my partner and told him to get in straight away as I was getting extreme pains and Oliver was going to be born today. This was at around 9am, I was put on a permanent blood pressure monitor by a needle feeding from a artery in my wrist. When put on the monitor I was shocked to see my blood pressure was elevating higher and higher. Where I could see it was 197/120. This was scary. I was given another two needles feeding in to my blood, I was getting magnesium sulphate pumped in to one of them to stop me from fitting or having a stroke with how high my blood pressure was getting. On the other needle I was getting liquid labetalol pumped in to try and bring my blood pressure down. The pain in my abdomen was getting worse where they give me diamorphine to subside the pain as well as the other pain relief I was given. Around 11am the consultant came to see me and said we have to deliver you as soon as possible for the sake of your health as if we leave you any longer you could die. This was too scary. They told me that I would be going in for a C-section around 2pm that day. I was soo scared but relieved my partner was there otherwise I do not think I could of went through with it. In between 11am and going for my C-section I had a lot of nurses, doctors and midwifes looking after me in turns, I was never left alone without a professional there with me at all times. A member of the neonatal staff came around to see us to tell us what they would be doing whilst taking care of Oliver and told us that the first 24 hours were the most critical. However they have looked after babies from 24 weeks and they survived so I had full confidence in letting him and the staff take care of our little angel. At 2.30pm I got took around to the delivery suite to get prepped for my C-section. I got given an epidural spinal needle which completely numbed me from the stomach down over. It felt really weird as my whole lower body went really warm. The surgeon said to me that the C-section has been said to feel like spinning washing around in a washing machine. It did not feel like that to me, it felt like a massage which was weird, they laughed at me when I said that and said that was the first time that they had said it has felt like that. Which made me giggle. I felt totally relaxed and not in pain after all the pain I had been in all night I fell asleep during having the C-section. At 3.14pm our beautiful baby boy was born at a mere 1lb 9.5oz, he was tiny but he was our little miracle. He came out crying which was amazing to hear. His cute whimper was like music to our ears. I briefly got to see him before they took him around the neonatal unit and I got taken to the high dependency unit as I was seriously unwell. I was in and out of sleep the whole day after that. Just could not keep my eyes open after a week or so without proper sleep. My partner went around to see our little angel and came back around to see me before he had to leave to go home. He brought me around a picture of Oliver in incubator. I felt so proud of him he looked so perfect. I was promised that if my blood pressure went down dramatically by the next day I could go around and see him. In the morning the midwife rang up the neonatal unit before her shift was over and he was doing great he had a really good night. I was over the moon my little Oliver had made it through the night. My partner came around at just before 10am went around to see Oliver but they were doing routine checks and he had to go back around for about 10:15am. My partner left and went around to see him, I told him to give him a kiss from me. Still proud as punch nothing could spoil this over sense of joy I was feeling until a member of staff from the neonatal unit came around and told me I had to get around to were Oliver was as it was not looking good. They pumped me full of blood pressure medication and took me off the machines they had me on and took me around. They were working on Oliver and my partner’s face broke my heart. They told me there was nothing they could do, they had been working on him for 15 minutes and could not bring him back around and asked me if I wanted to hold him. Of course I wanted to hold him our precious little boy. He looked so perfect and in peace. He did not look in pain. I could not believe it at first, It did not sink in, I just stared at my little boy for what seemed forever. Then it hit me and I could not stop crying. Our baby had died. My partner phoned my family and told them to get up straight away, they did it was heartbreaking seeing them the way they were. It was even more heartbreaking that my partner’s family lived so far away, they wanted to be there that day but they could not get up in time for visiting hours. We got Oliver blessed that day. The staff at the hospital said Oliver could stay with us for as long as we wanted. We kept him with us for that day and night and most of the next day as well as my partner’s family came up the next day and we wanted to make sure they got to say goodbye to our little angel too. We all got pictures taken with our little angel, although it was a sad time and photos might not of seemed like a good idea but we wanted no regrets. The hospital were fantastic to us, they give us a memorial box were we got Oliver’s hand and footprint into clay and also ink prints too. It was beautiful. I got to hold my baby for as long as I could. On the Sunday, we had to get Oliver taken away as his skin around his lips was starting to decay. This broke my heart. When we had to get Oliver taken away I was holding him, the midwife took Oliver and told us if we wanted him brought back they would and took him away. I collapsed, my partner had to catch me. I sobbed hysterically. I could not have him brought back to have him taken away from us again so we did not get him brought back up to us or visit him again. I could not see him again after that because I would not let him go again. No mother wants to say goodbye to their baby it is not right, it is not natural. But it happens more than what we believe. Oliver was loved from the second he was conceived and still is loved. I love my little boy more than I love life itself. The hospital were kind enough to pay for our little Oliver’s funeral which happened on the 26th of June 2013. It’s been two weeks today since my little angel was born and he lived for 19 hours. Our little fighter survived 19 hours. Oliver sadly passed as he had internal bleeding in his lungs and began to hemorrhage. I would have not been able to get through this hard time if it was not for the love and support from family and friends and the hospital staff but most importantly my partner. I thank everyone who was there for us during this sad time. I mostly thank my partner for keeping so strong for me during it all and taken care of me throughout it all. I would not know what I would do without him. Hes my rock. I would like to take the time to mention how fantastic our hospital is and how amazing and supportive the staff are at this hospital. They took good care of our baby when he was alive. I cant ask for anymore than that. Our little Angel Oliver … Born 14.06.13 at 15.14. Sadly passed … 15.06.13 at 10.44. I hope Oliver’s story helps anyone who is going or has gone through the same thing as we have. He was my little hero and in the future we will be giving Oliver a brother or sister. ‹ PreviousA Tide of Celebration, Sorrow and being an Angel Daddy on Fathers Day….